Improve the sight reading of the mandolin notes! Mandolin Notes Finder offers you one of the easiest ways to learn how to play the mandolin. 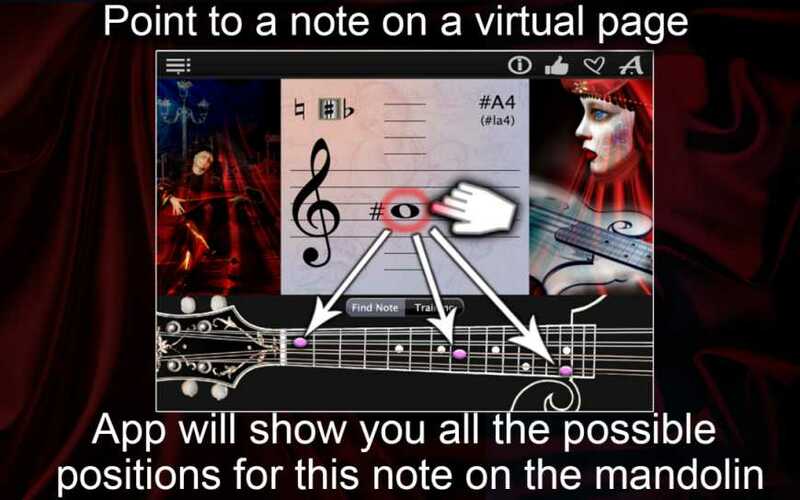 Dedicate to it only few minutes a day and you will learn how to read music sheets using “Note Explorer” Mode. For more advanced learning use “Note Trainer” Mode. 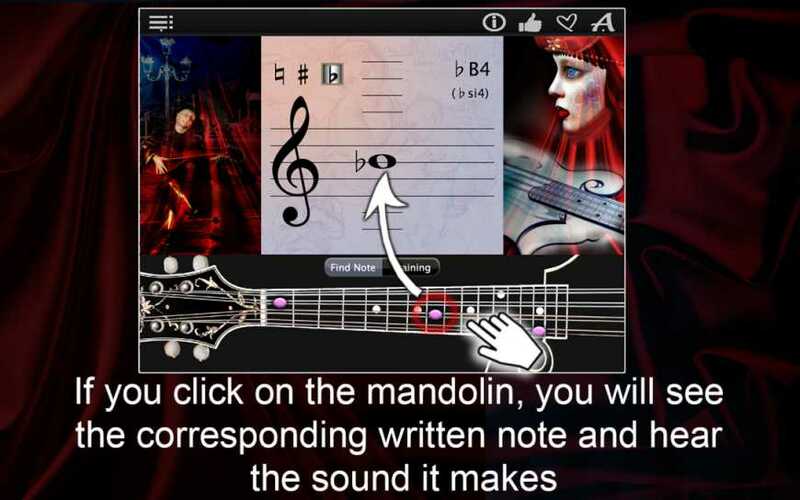 This Application contains the complete note range of the mandolin with its real sounds (you will even be able to tune your own mandolin, using these sounds!) 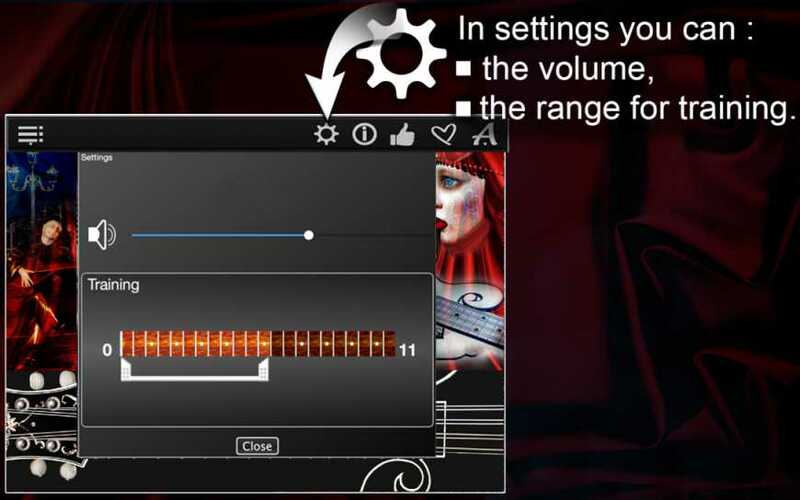 The bass clef modes are also available in the application. It includes recording of tonalities with sharps and flats, with letters (A, B, C), and solfeggio (do, re, mi), with the possibility to regulate the sound level. User-friendly interface supports Retina displays. 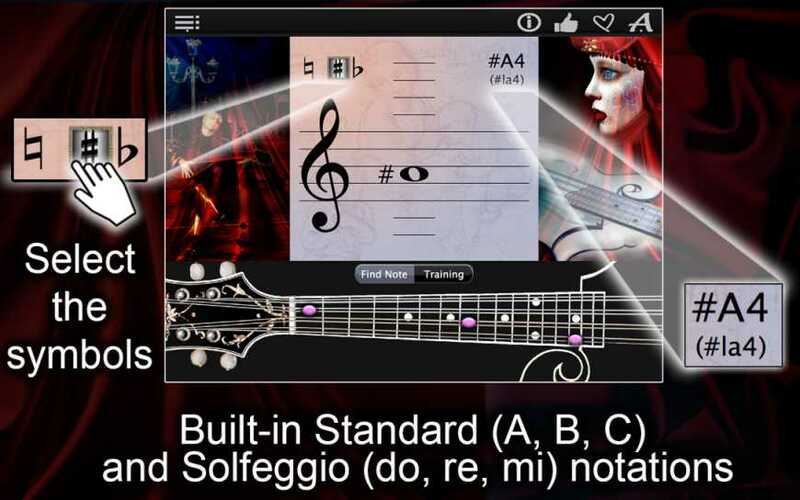 “Note Explorer” Mode will show you the notes of the mandolin. It will be useful for both the beginners and advanced musicians. Press the search button “Find Note” and study notes on a virtual music sheet by moving the cursor up or down. At the same time blue dots on the virtual mandolin’s neck will show the locations of the notes on that mandolin. However, you can do the opposite, you can put your fingers on different frets of the neck of the mandolin until you find the necessary note. That note will also appear on the music sheet. Listen and try out different notes and make an effort to remember their location on the mandolin’s neck. 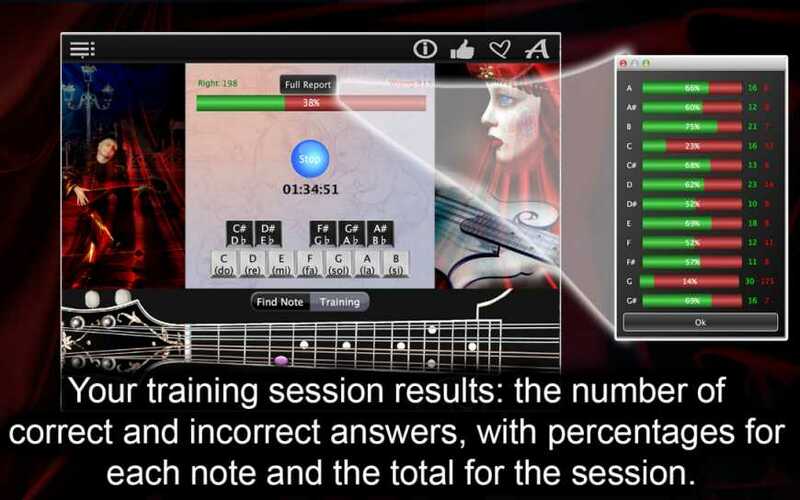 If you have already learnt some notes, you should try the “Note Trainer” Mode. Start your training by pressing “Training” button and then pressing “Start”. Then you will need to look at the mandolin’s neck. Blue dot that will appear on it is the note you need to guess. This exercise has not only time limits, but it also requires a pretty high speed. However, the more you practice, the better is the result! The function called “Bass Note Trainer” will record and value your results after every training session; it will show you your weak and strong sides. You can compare your current results with the previous ones, evaluate your progress in music sheets reading and mandolin notes recognizing. You can also challenge yourself and beat your previous high-score!